About the author: Big Historian Anita Ravi is a history teacher, an educator of history teachers, and a curriculum designer. She has worked on the BHP curriculum since 2014, and supports innovative teacher prep programs through her work with the National Center for Teacher Residencies (NCTR), as well as with University of Michigan’s TeachingWorks. A complex and tedious performance measurement chart. Public Domain. “I hate rubrics!” Even if you’ve never uttered these words, your students certainly have. And for good reason. At first glance, rubrics appear complex and tedious. But they can also be incredibly effective tools when used by teachers and students to break down the elements of good writing into achievable chunks. So how do we get past that complex, tedious part? Keep reading. The most important reason to use a rubric is that it establishes clear expectations for students. Rubrics are intended to describe what the student needs to do in order to demonstrate their learning of a particular topic or skill. If students truly understand the criteria for scoring “proficient” (or above) on the rubric for a particular assignment, and if you guide them to practice meeting these criteria, then their final work products will indeed be better. BHP Writing Rubric. Download the full PDF version here. Chances are, you and your class are approaching the first Investigation in the BHP course in the next week or two. Throughout these first few weeks of school, you’ve focused on teaching students how to read source material (print and video) for key ideas and details, and perhaps you’ve begun to delve into what a set of sources can tell us about an overarching historical question or problem. Students have written responses to their first claim tester and perhaps done a bit of peer editing. The Investigations in BHP are set up in the following way: First, students start with a conjecture in response to the overarching question; next, they read several texts in order to gather evidence to test that conjecture and refine it into a thesis; finally, they create their written analysis marrying thesis with evidence. 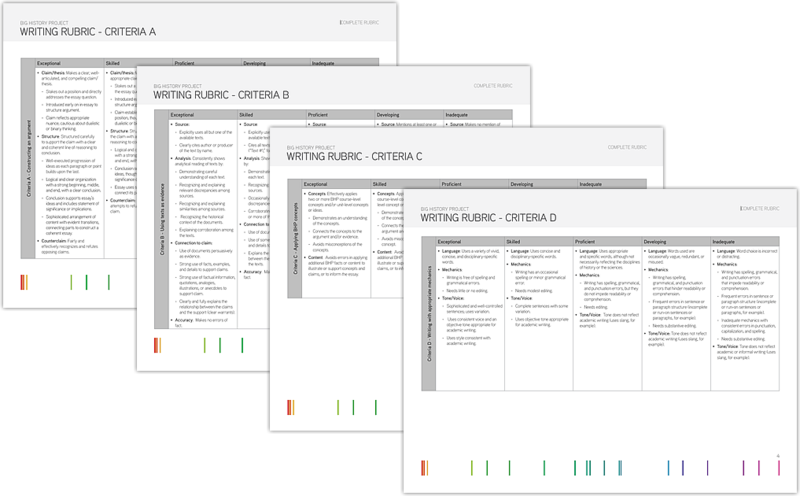 The BHP Writing Rubric describes the final product according to these four criteria: A) constructing an argument; B) using texts as evidence; C) analyzing BHP concepts; and D) writing with appropriate mechanics. 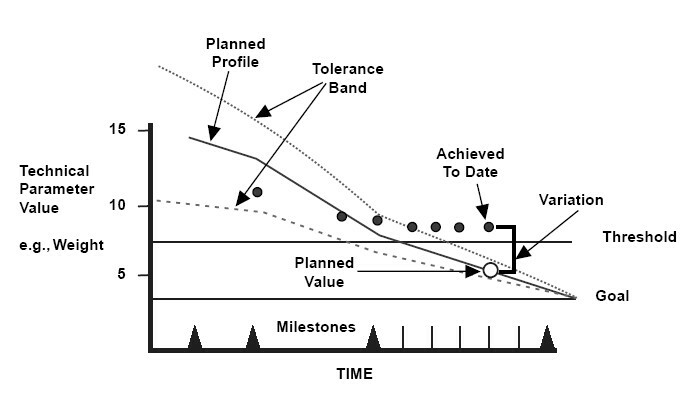 Criteria A and B are the core of any historical analysis. Criteria C asks students to connect their historical arguments to the larger themes of the course. Criteria D ensures that students write academically instead of colloquially. So how might a teacher use these criteria in instruction? Did you stake out a position that answers the essay question? If not, how would you revise what you wrote so that it clearly answers the question? Does your claim establish a clear position, but still account for some nuance? Which three (or more) texts provide the best evidence in support of your claim? Did you summarize the main point of each text? How does each text connect to, or support your claim? Did you write about the similarities and differences between these texts? Is it possible that one (or more) of these texts actually provides evidence that does NOT support your claim, but is worth mentioning anyway? Did you summarize this text as evidence of a counterclaim? In the next class—after some of the above work is done in class and students have time outside of class to refine their writing—you can come back to Criteria C and repeat the process, turning the “proficient” column (or higher) into guiding questions students can use to ensure they attend to the larger BHP theme of that Investigation. Repeat the process for Criteria D (mechanics), but have students do this work themselves, in pairs. By using the rubric as an instructional tool, you are more likely to make expectations for writing clear, guide and monitor student progress as they write, and, in the end, receive more final products that meet or exceed the criteria.